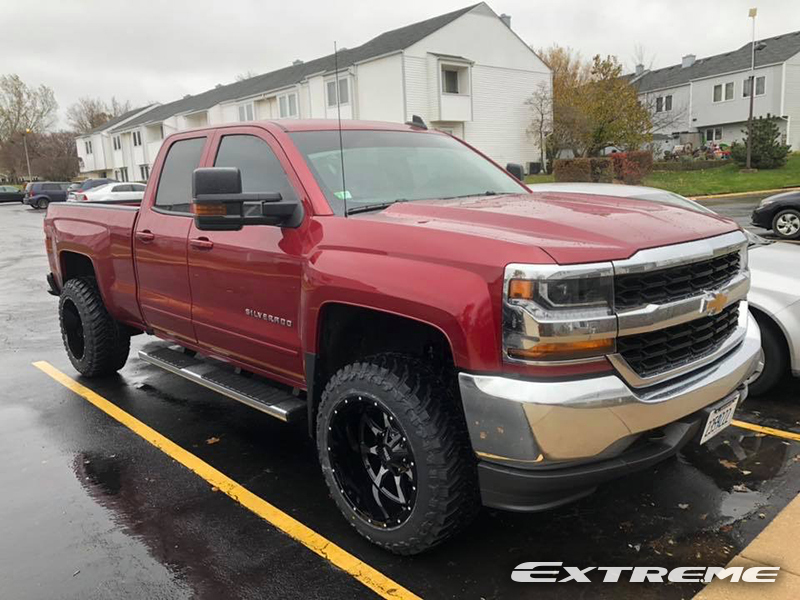 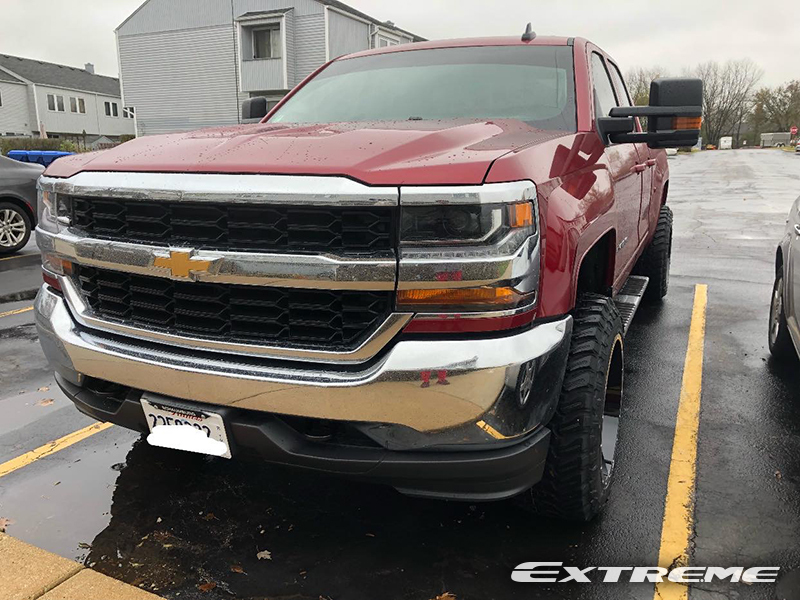 This 2018 Chevrolet Silverado 1500 LT Crew Cab Pickup 4WD has a SKP installed with 20x12 Moto Metal MO970 Machined wheels that have a -44 offset. 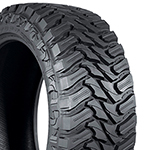 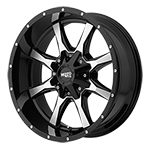 The wheels are wrapped with Atturo Trail Blade M/T 33x12.5R20 tires that have a 33 inch overall diameter. 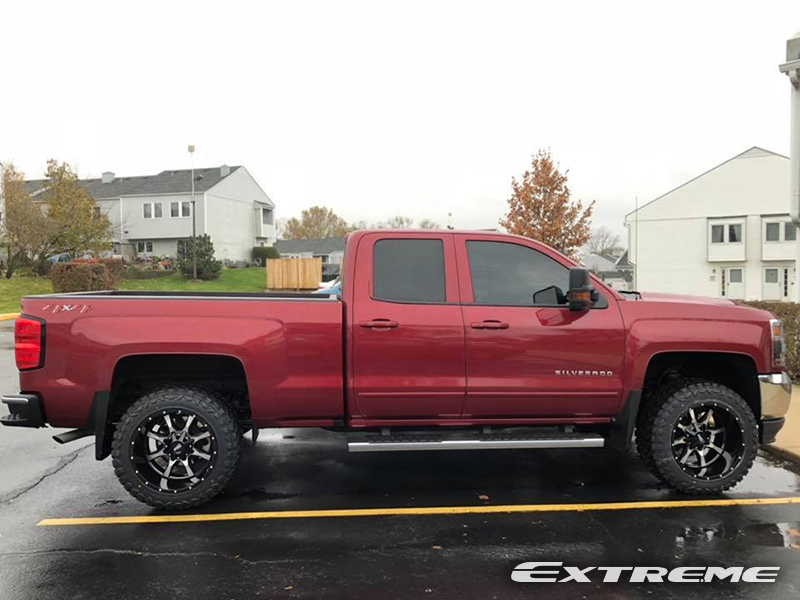 The stance is 2 inch outside fender.